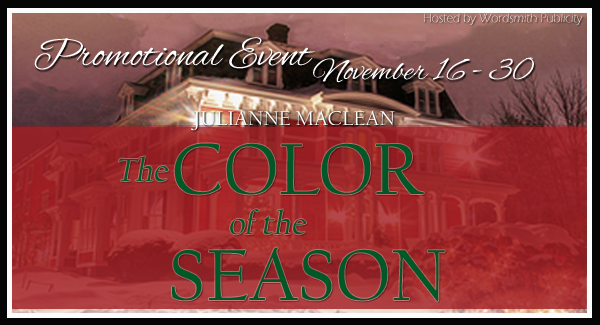 The Color of the Season by Julianne MacLean Promotional Event and Giveaway. 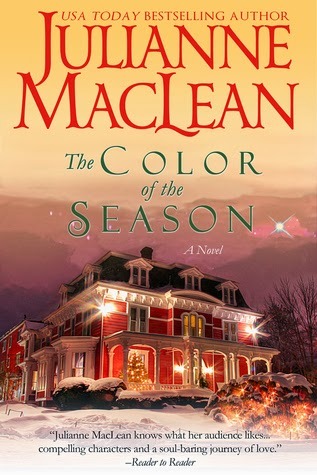 Thank you for joining us for The Color of the Season Promotional Event, with Julianne MacLean and Wordsmith Publicity! Visit the tour homepage to follow all the participating blogs. I am constantly amazed by the resilience of the human body, and more importantly the human spirit. Three days after waking from a five-day coma as a result of two gunshot wounds and major surgery, I was walking steadily—albeit slowly—on a treadmill. At this rate, the doctors told me it wouldn’t be long before I would be discharged. Surprisingly, I had mixed feelings about that. 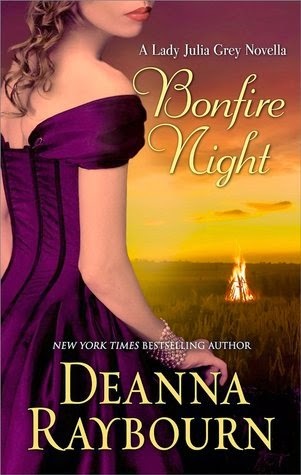 Lady Julia series Bonfire Night gives both Lady Julia Grey and her detective husband, Nicholas Brisbane, a small vacation and a interesting mystery to solve. Look for a lot of misdirection when all the ghost appear. Julia and Brisbane catch on really fast about the ghosts but take a while to realize the real reason for what is happening. In the end Nicholas gets a very nice and unexpected Christmas present. #3) by Lorenda Christensen – This is a novella. 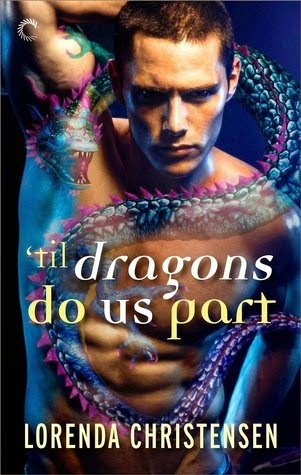 Savannah Cavenaugh has several secrets; all of which are revealed in the first few pages of ‘Til Dragons Do Us Part. She is a thief and a dragon morph. It is easy to see why being a thief is a secret. The dragon part has kept her isolated from most people. All of that changes and that is the heart of the story. I loved how Savannah changed when she realized what some of her actions were doing to other people. The possibility of a romance with Cameron Shaw also played a big part in that change. This is a nice addition to the Never Deal With Dragons series. It will stand-alone but the series is such fun don’t skip the first two novellas. romance and romance set at Christmas this one if for you. 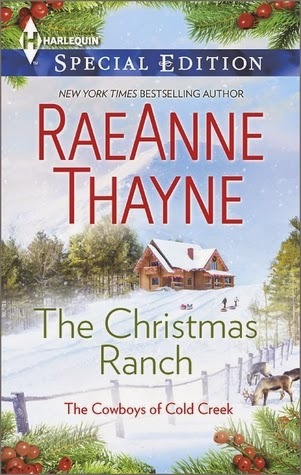 The Christmas Ranch is set in Pine Gulch on the ranch owned by Hope Nichols and her family. There is a Christmas tradition at the ranch. It is decorated and open to the public and has been for many years but this year Hope's family has decided to skip that tradition. Enter Hope who has just come back to the ranch and Rafe Santiago who needs something to occupy both his and his nephew time and magic happens. This is a between book. 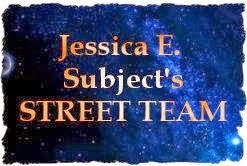 It provides a more detailed back-story to some of the characters in The Alexia Trabotti novels and it sets the stage for more action and adventure. All of the gang are here and once again on an interesting adventure. While both Sidheag and Soap find a solution to their problems the big problem is still out there on the horizon for Sophronia to solve in future books. I found this to be mostly a place holder in the series. A nice story that adds to the world building, character development and plot direction. 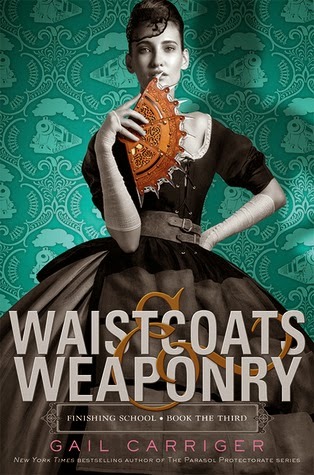 Not the best place to start the series as it assumes the reader is familiar with this steampunk world Carriger has created but fun for the fans of this world. Radcliffe never expects to find a family when he agrees to make a saddle for the owner of Last Chance Ranch but that is what he finds; a family and even more. Molly Gallagher is just visiting. She is part of the Arizona branch of the family. In this the last book in the Sons of Chance series Thompson sets the stage for a new series featuring the Gallagher's of Arizona. A nice story with two wonderful main characters and a chance to visit with the characters from previous books. TC found all the books I received this week very interesting. Mortal Heart by Robin LaFevers is a Amazon Vine book. I won Confessions of a Self-Help Writer by Benjamin W. Dehaven and it arrived this week. The next two are from the library. Dreamer's Pool by Juliet Marillier and Symbiont by Mira Grant. Welcome to Black Friday. If anyone needs or wants (two very different things) several of the retailers have some really great deals. I am trying to resist but will probably use the 30% off coupon from Barnes and Noble to pick up a Science Fiction book that my library does not have. "He was on his way back from the edge of the study area towards the research station, just him and the Cessna and the open skies above the Amboseli basin, his mood better than it had been in weeks, when the call arrived." "I might be on a deadline here--up to my eyes in work, with no time even to eat, sleep or indulge in basic personal hygiene." 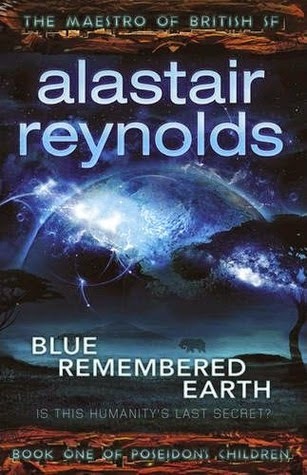 From Blue Remembered Earth (PoseidonChildren #1) by Alastair Reynolds. This is book one in a Science Fiction series and has been on my TBR pile for months. It is a long books and that may be why I have put off starting it. I loved the first two Blood Hunter novels. They were the kind of Science Fiction Romance and Space Opera that I love. I Put Death Defying on pre-order as soon as I saw it. It appeared on my kindle several days ago and went to the top of by TBR list. I expected the same level of enjoyment I got from reading the first two books and I was not disappointed. Death Defying did several things. The prologue goes back 15 years and tells how Rico and Tannis met. I got to catch up with the crew of El Cazador again. There was additional world building as I learned more about the Collective, the Church and the Rebels. Death Defying has one very important new main character, Callum Meridian. He was a side character in previous books but moves to center stage here. Tannis get her own chance for a HEA but not without a lot of problems. The plot starts out simple and becomes more complex as the story progresses. Callum hires the El Cazador and its crew to take him on a journey of discovery. For Callum it is more of a journey then he expected. He starts out as an arrogant spoiled man who has to face some hard facts about the man he has become. How the mission plays out depends on how much he can change. This is book three in the series but it does a good job standing alone. For maximum enjoyment read Break Out, book one, and Deadly Pursuit, book two first. When you finish all three then read Temporal Shift Book Four. Blood and Metal, book five is coming out sometime soon. They're heading back to Earth, and they're going back in time. Temporal Shift features the crew of the Blood Hunter (we get to see Rico and his snarly remarks again –he just gets some of the best lines) in a new adventure. This one features Devlin Stark and Saffira Lourdes. 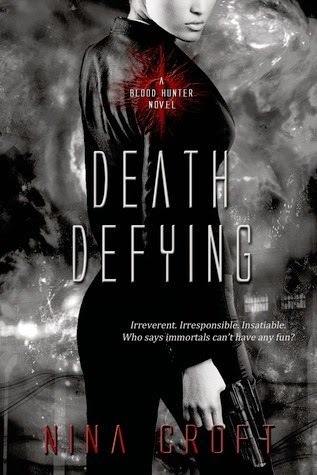 Devlin was a side character in Death Defying (see the review above) and Saffira is one of the people we meet when the Blood Hunter goes through the black hole. Saffira has visions and many of them have been about Devlin. Devlin does not care about anything except revenge. Don’t look for love at first site here. Instead look for another great adventure. Temporal Shift adds more world building details as well as additional back story to the Dark Desires world. Croft takes time travel and gives it a new twist while spinning another great space opera story. There are secrets, again, romance, again, and a great many twists and turns. All of which make a really fun Science Fiction Romance packaged in an exhilarating Space Opera. I would not start the series with Temporal Shift. At the very least read Break Out, book one in the series. I started Temporal Shift before I read Death Defying and was lost enough that I put it down until I had read Death Defying. Just my recommendation is to start this series from the beginning. Croft keeps each book fresh by introducing new SciFi elements and characters. There are several hooks for new stories as Temporal Shift ends. Croft stated that she was writing book six so hopefully book five will be out soon. Entangled Publishing released Temporal Shift by Nina Croft in 2014. I received a free ARC of Temporal Shift in return for an honest review. But when she jumps at the chance to escape to the wilds of Australia and acquire research for her next story, Zenobia quickly discovers that the voyage will be far more adventurous than any fiction she could put to paper. The Kraken King was first published as a eight part Kindle serial. I resisted the serial at $1.99 per part and purchased the Kindle book for $7.99 when it was released. 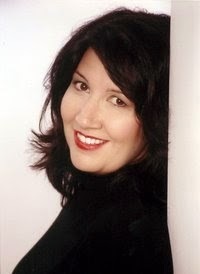 Zenobia Fox has been a character for several books. We met her through her letters to her bother Archimedes and her books about her brothers adventures. Each time she has been safely at home but this time she gets her own adventure and finds that she is much stronger than she thinks. Her adventure starts when Ariq, the Kraken King, saves her. Both have an immediate attraction but things keep getting in the way. There are many interesting character and places in The Kraken King. As this started as an eight part there is a lot of time for character development and world building. Some of that slows the story down but adds to the hooks for new stories in the Iron Seas series. I loved how both Zenobia and Ariq built a great relationship and how that relationship drove the story. There is danger, adventure, more danger and finally a great ending. It was great to see Archimedes and Lady Corsair as side characters. I hope to see all four again soon. 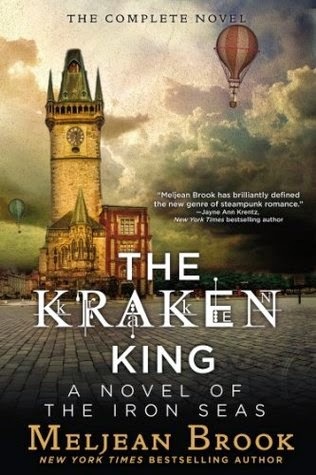 Berkley published The Kraken King by Meljean Brook in 2014. As Mason and Rachel try to find the boys, she senses a new and unexpected danger stalking them. Soon, everyone close to Mason is in deadly peril — Rachel more than anyone. 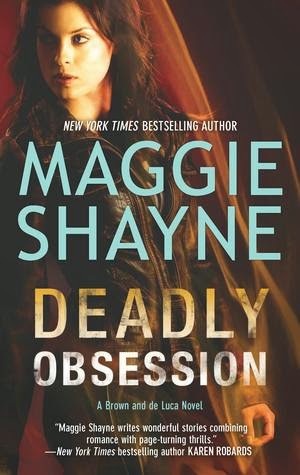 Deadly Obsession is another great mystery for Rachel and Mason. In the last book Mason told Rachel he loved her and she did not respond. She knows that she does but just can’t seem to say the words. For the first part of the book she is having the internal dialog about why she does not just say it. That dialog really tells a lot about Rachel and how she is changing. While someone is trying to get rid of Rachel and the boys she is realizing how much they all mean to her. The plot has fires, escapes, kidnapping, and injury - all leading to a thrilling conclusion. My only complaint; the epilog sounded like this would be the last Brown and de Luca book (I have since found out it is). If so Shayne wrote a great ending, if not I am always ready to visit with Mason, Rachel and family again. I received a free ARC of Deadly Obsession from Netgalley in return for an honest review. I have so many books that are unread. While I really try to read and review the ones I accept, that means that my purchases go on the back burner. Sometimes they even get forgotten, more when they are ebooks than when paper. 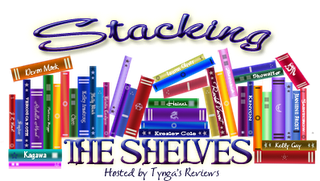 I have a new goal and that is to accept fewer books for review and read down my TBR pile. Time will tell if I am successful. For Giveaway go to the Rafflecopter Link at the bottom of the post. 1 Winner will receive a Signed Copy of A Touch of Nerves by D.C. Hampton. When Army Captain Ben Hawkins discovers chemical weapons missing from a military research facility, he begins an investigation into preventing a possible terrorist attack. The suspects? Two rogue Iranian agents who blame the deaths of their family members on the United States. What Hawkins doesn’t expect is to find himself forced to decide whether to risk his career—and possible arrest—to stop the attack, even if it means working with a foreign agent. D.C. Hampton’s debut novel, A Touch of Nerves, may be set on the battlefield of America’s “War on Terror,” but the book is a far cry from your typical action narrative. Inspired by his two sons who served in Iraq and the Persian Gulf during the Iraq War and his own time serving in the U.S. Army, Hampton brings depth and humanity to characters that might otherwise be painted in the two-dimensional “hero” or “villain” archetypes. With Hampton’s passion for history and global affairs, A Touch of Nerves brings a fresh perspective to the long history of tension between the United States and Iran. 25 miles west of Washington, D.C.
Elena Santana glanced around as she waited at Dulles Airport baggage carousel #5, more out of habit than any particular concern. This was her second entry into the U.S. as an exchange student from Seville, Spain, although she wasn’t returning as an exchange student and she wasn’t really from Seville. She wasn’t even Elena Santana, but she often forgot that. This was the part of the operation that Mahmoud was most concerned about. Customs and Immigration. Passport Control. Possibly a photograph and facial recognition scan, a check against the do-not-fly list, or worse. But Elena wasn’t concerned and she wasn’t nervous. It helped that she was looking forward to the operation. It also helped that she and Mahmoud had rehearsed these few minutes a dozen times, with Mahmoud playing the part of the immigrations officer, sometimes questioning her, sometimes challenging her, sometimes just stamping her rehearsal passport and waving her through. At age 28, and with a rather vague look about her, Elena could easily pass as a younger, college-aged student, which was exactly what she was trying to do. She actually was an exchange student from Seville—just not Jennifer McNair, as her passport said. Her dark eyes and light olive-colored skin didn’t stand out in Spain, where she had spent a considerable amount of time lately. She wouldn’t stand out in the United States, either, where people might come from anywhere in the world. “How convenient,” she thought. “Everyone looks as if they fit in here.” That certainly wasn’t the case in her native Iran. No, not in her native Iran, where she was Saman Kashan, not Elena Santana, or even Eleni, as she told her friends it was spelled in her parents’ native Greek island of Rhodes. Neither she nor her parents had ever been in Rhodes, or anyplace in Greece, for that matter. And in the past few years Saman had spent more time in Spain than in Iran, thanks to Mahmoud Najidad. Mahmoud had insisted that she make friends in Spain, especially American friends, and attend classes, even work part-time, although she didn’t need the money. Saman had always spent time there, even as a child. Her Spanish was flawless—better than her English, which she spoke with a Spanish accent. And she had always loved the colors, the history, and the ancient sites in Spain that had been an important part of the Muslim world for centuries. She loved to visit Toledo, where 12th century Muslim, Christian and Jewish scholars had rescued the Greek classics from obscurity, providing the foundation for the European Renaissance that followed. Now she lived and studied in Seville, the once Moorish city she had come to love. The days when Muslims occupied Spain and ruled the Mediterranean were long gone, of course, and Saman wasn’t one of those crazy, out-of-touch zealots who actually believed they could re-create an empire, perhaps by blowing themselves up. Her motives were much more personal and her goals were much more specific. She thought back to that day when her world changed forever. The day she would remember and re-live for the rest of her life. July 3, 1988. The day she went to visit her Aunt Farideh and Uncle Parham, never to return to her own home again. Saman was eight years old, too young, her father said, to fly with them to Dubai. Both her parents and her older brother Hami were on Iran Air Flight 655, flying from Tehran to Dubai, travelling together to a conference her father was to attend. They would be gone for almost a entire week. For many years, Saman didn’t know anything about flights and missiles and the confusion leading up to that terrible event. Her memories were of the noise, the crying, the strangers coming and going, and a house filled with more food than anyone wanted or could eat. She remembered that she had gone to visit her aunt and uncle and never went home again. After a while she had to concentrate even to remember what her parents and her brother Hami looked like. But that day, twenty years ago, that day she would never forget. The details came later, when she was older and could find out for herself, since nobody at her new home would talk about it. She learned about the Iran Air flight that took off from Tehran and headed out into the Persian Gulf, flying directly at a United States Navy guided missile cruiser that was under attack by Iranian patrol boats. Why hadn’t the American ship correctly identified the airliner? Why did the Americans insist on claiming the airliner’s transponder didn’t identify it as a civilian aircraft? And if it was an accident, as the self-righteous Americans claimed, why had they never apologized? Did they really think that the money they sent her new family—money her aunt and uncle used for Saman to travel in Spain and to study abroad—was that supposed to make up for it? Yes, she had been looking forward to this trip to America for nearly two years. In a way, she had been waiting for the past 20 years—ever since that day the Americans took her family away from her forever. For most of those years she had nothing but her hatred, until the day a man named Mahmoud Najidad asked her if she would like something else—revenge. It was an easy question. Saman collected her bag from the carousel. Getting through customs was easy—just another American student returning home. She headed toward the “Nothing To Declare” lane. No, she had nothing to declare. Everything she needed was already here, including her trainer and handler, Mahmoud. The customs agent was nice and he even smiled as he waved her through, which Saman found amusing. For reasons Saman could never understand, Americans were always so friendly, just as Jennifer, her fellow exchange student in Seville, had been. At least, that is, until Mahmoud’s agents kidnapped her. This is both a thrilling and interesting book. The plot is something that might happen. The characters fit the story line. The writing is good. It is hard to put down. What caught my attention the most was everything the different government agencies used to track the missing chemical weapons and the people who stole them. This is a work of fiction but I had to wonder how much of that was fact. All in all an exciting read that may scare you about the kind of threats that are out there and what could kill a lot of people. D.C. Hampton holds an MA and PhD in Audiology from Columbia University and has been published extensively in the field. 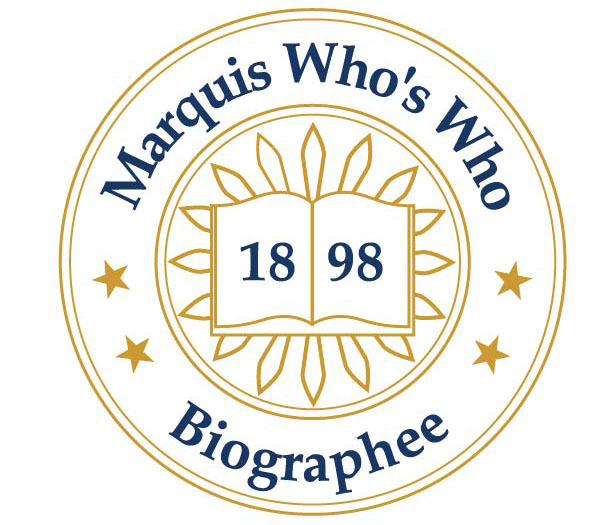 He has done graduate work in history and has always been interested in international relations. Though he has been extensively published in medical and trade publications, A Touch of Nerves is his first foray into fiction.